A corporate landlord in Nebraska has agreed to pay nearly $100,000 in damages and penalties to settle claims that it violated the rights of 65 servicemembers by charging early termination fees. The Servicemembers Civil Relief Act is a federal law that protects those in the military who are deployed, relocated or retired by restricting actions that can be taken against servicemembers and their dependents. Civil lawsuits like collection cases. The SCRA also applies to mortgage interest rates and mortgage foreclosures. The Act covers active duty service members, reservists and active duty National Guard from the date of active duty and up to 90 days after duty is completed. There are some limited exceptions to the SCRA. For instance, a landlord may be allowed to evict a servicemember during active duty where the rent is higher than the statutory limit — currently $3,450 — and the Act only covers deployments for 90 days or more. Otherwise, evictions are restricted and require a specific court order. In cases where the servicemember’s or family’s ability to pay rent is materially affected by military service, the court will either grant a 90-day delay or modify the lease obligations. Landlords should not remove a servicemember’s belongings without first obtaining a court order. To terminate a lease agreement under SCRA, a servicemember must provide written notice. The termination is not effective immediately. For a tenant with a standard lease, the lease is terminated as of the last day of the month following the month the notice was received. 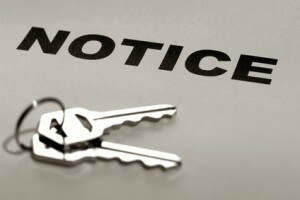 For example, if notice is provided on September 25th, the lease will terminate on October 31. With month-to-month rentals, the termination is effective 30 days after the first date on which the next rental payment is due once the termination notice is provided. The SCRA is complex, and landlords should seek legal advice before pursuing any punitive action — removing personal items, withholding deposits, filing for eviction — and inform the attorney that the tenant is a servicemember. Not only can the government assess fines under the SCRA, but violations such as seizing personal property, retaining the security deposit or attempting to collect rent after termination also carry misdemeanor criminal penalties, including up to one year in jail. According to the Department of Justice, over $467 million has been collected over the past seven years from creditors, including landlords, who have violated the SCRA.